For over three decades, ICS has been working with clients to develop solutions to meet all of their technology and telecommunication needs. While technology has changed greatly, their goals and mission have remained the same: ICS is committed to integrity, innovation, and the most personalized, proactive, and professional customer service in the IT industry. 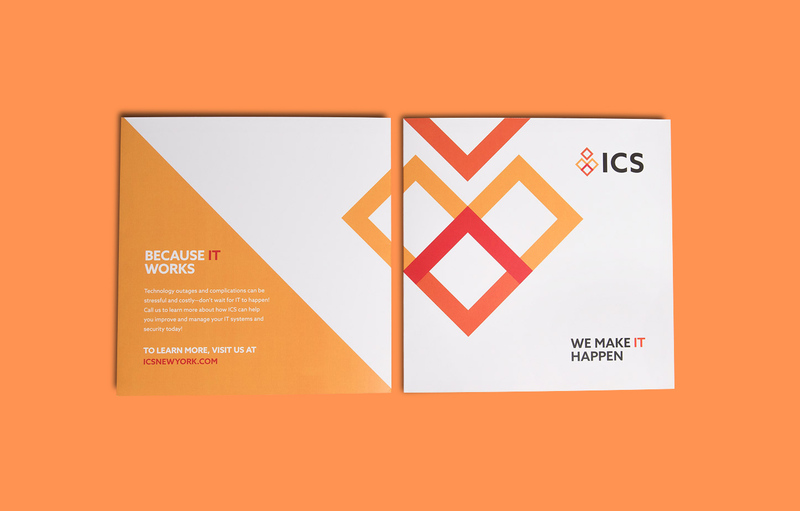 When ICS first approached Idea Kraft with a rebranding project, we knew we were facing an exciting challenge. After 30 years of providing information technology management and upgrades to customers, ICS’s image no longer represented the company’s welcoming, customer-focused personality. At the beginning of our process, we collaborated with the ICS team to pinpoint the brand’s true identity, including its mission and target audiences. 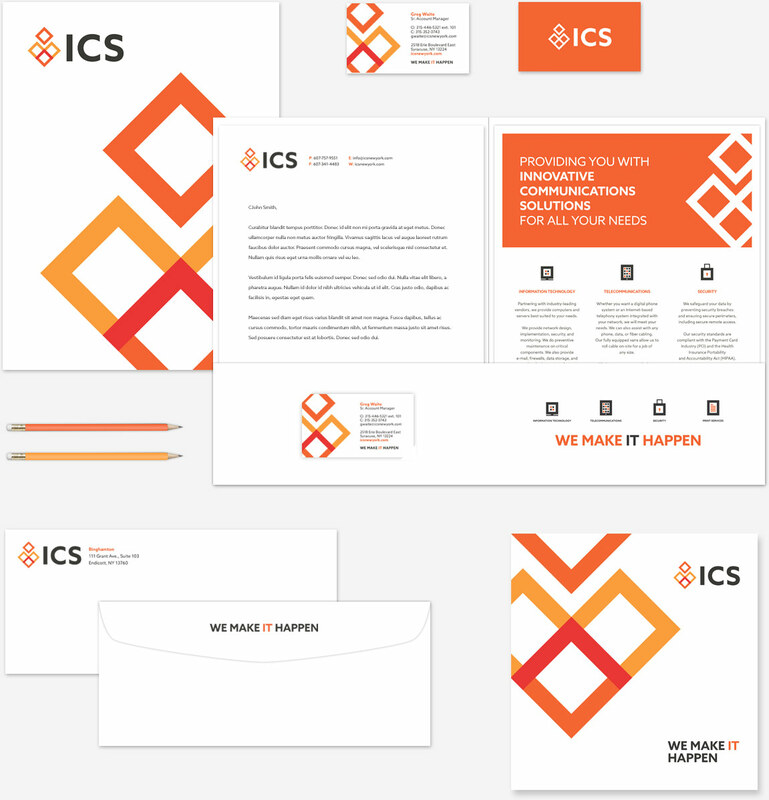 ICS knew they wanted to portray a modern and simple, yet recognizable persona. With these key features in mind, mood boards were filled with images, color palettes and graphics to inspire emotion with the goal of pinpointing the feelings the client hoped to evoke. With the brand’s vision in mind, a new logo emerged, paying homage to the previous puzzle piece logo representing collaboration and teamwork, while welcoming modernity and uniqueness, demonstrating the company’s ability to grow and compete. The look and feel of the brand is built by consistent visual applications. 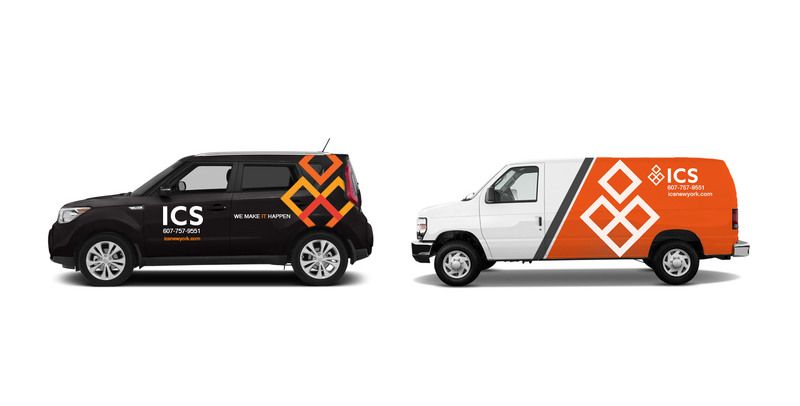 From business cards to car wraps, ICS brand is designed to stand out. Idea Kraft exemplified professionalism in patiently working with the leadership team as we honed our ideas into the brand you see today…It is not always easy to pull together a variety of ideas into a single outcome, but their staff and outstanding support made it possible.